That’s the gist of it, but we know you probably want to know more. You have questions and we’re here to answer them. 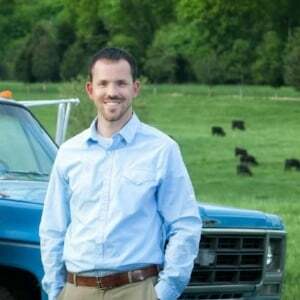 Do I Need Lawn Aeration in Ashburn, VA? Absolutely. Every lawn can benefit from an aeration service. Put simply, lawn aeration is the single most important service you can perform on your lawn in terms of promoting its health. So if you’re going to skimp on lawn care services, we definitely don’t advise skipping this one—it’s something to invest in, and we’ll explain why. You need lawn aeration for your Ashburn, VA home because making those small holes throughout your lawn really does have a big impact on its overall health in more ways than one. Let’s take a look at each of the benefits you can anticipate. Reduced Soil Compaction: In the Northern Virginia area it is quite common for soil to be hard and clay-like. This compacted soil makes it very difficult for water, oxygen, and nutrients to get through it. But aeration can change that. Lawn aeration breaks up that compacted soil and allows your roots to receive what they need to grow stronger and healthier. This will allow your lawn to perform its best. 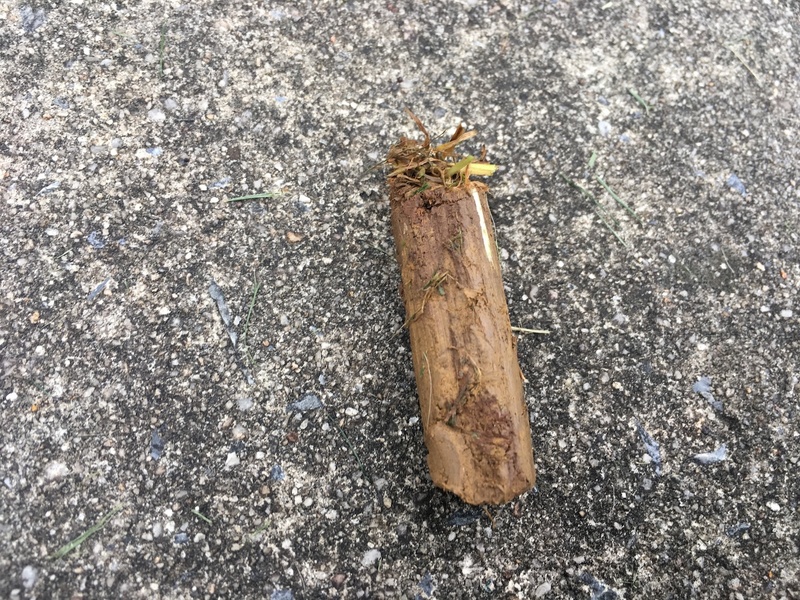 Natural Decomposition: In addition to the creation of the holes, the cores of soil that are deposited atop your lawn during an aeration service are also very important. 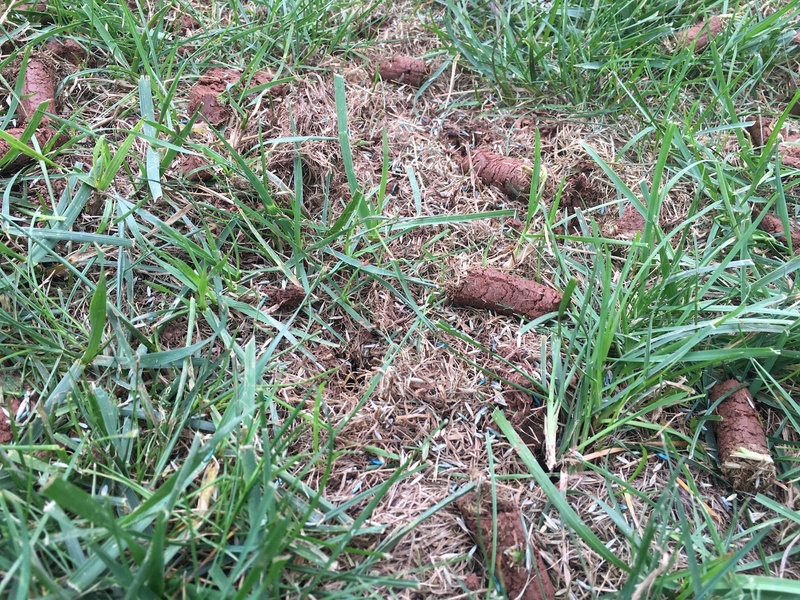 These cores of soil break down and filter their contents back into the soil, acting as a natural topdressing for the lawn. The improved soil structure increases the potential for beneficial microorganisms that help to break-down thatch, which is naturally-occurring, dead organic material that can build atop your soil. Thatch is a problem because it acts as a barrier for water, oxygen, and nutrients to have to get through. Thatch over ½” thick also is a conducive environment for turf-damaging insects and disease. Improved Fertilization Treatments: The loosened soil created by an aeration service can also make your fertilization treatments more effective. That’s because it’s easier for the fertilizer to penetrate the soil and have more effect on your lawn. Better Seed-to-Soil Contact: We’ll get into more detail about seeding and why it should be performed along with aeration, but it’s definitely worth mentioning that another benefit of aeration is that it will provide optimal conditions for new grass seed to be planted. Overall Better Health: A lawn that is well-aerated is overall a healthier lawn. It will grow stronger and thicker which has benefits of its own. A lawn that is thriving will be able to naturally choke out weeds, which tend to grow in lawns that are thin or have a lot of bare spots. A healthier lawn will also do a better job defending itself against disease, pests, and environmental stressors. This is why we say that a lawn aeration service is truly one of the best things you can do for your lawn’s health. Lawn aeration on your Ashburn, VA lawn should be performed annually. This is because the clay-like soil in our region can become compacted quite easily. By having your lawn aerated each year, you’ll be able to keep it in better shape and see greater success with other services you’re having performed throughout the year like fertilization. Even if your lawn is looking like it’s in great shape, you should still aerate. Cool-season grasses will thin out during the summer when it will inevitably be drought-stressed at some point. Even if it came out on the other side of summer looking okay, your lawn probably went through more stress than you realize. If you skip this year’s aeration service, by next summer, you’re going to be able to tell. But aerating in the fall will help it to remain thick and better survive future stress. The best time of year to aerate your lawn is in the fall when seeding can also be performed. We’ll discuss that in more detail, next. How is Lawn Aeration Performed? 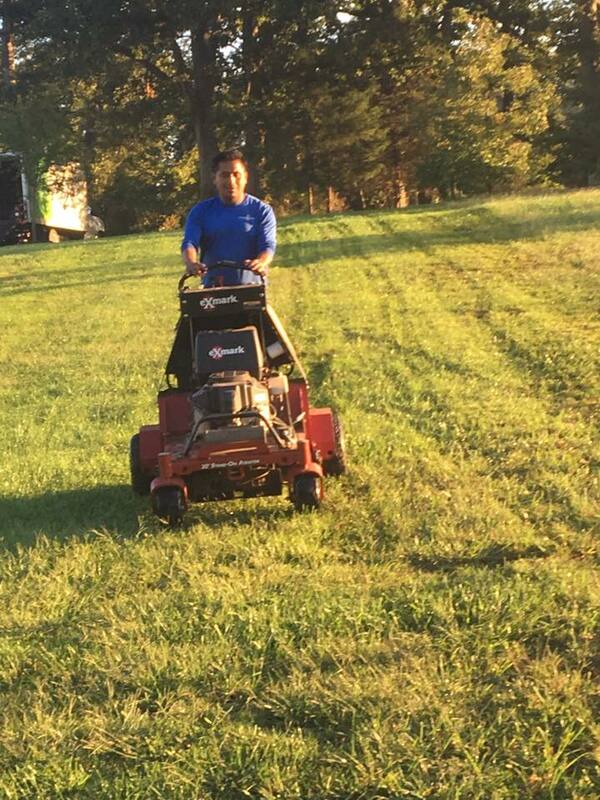 A lawn aeration service in Ashburn, VA is performed by running a commercial-grade aerator across your lawn. This special piece of machinery pulls the cores of soil to create holes and deposits them atop your lawn. At Rock Water Farm, we always do a double pass using a commercial aerator. This gives you the best possible results because it creates the most possible cores. This is not necessarily a common practice as we find most do-it-yourselfers don’t perform a double pass—probably because it’s too tiring. Using a rented aerator around your property can be hard work and even a single pass could end up taking most of the day. We also find that most of our competitors do not perform a double pass, most likely just to move on to the next property as quickly as possible. 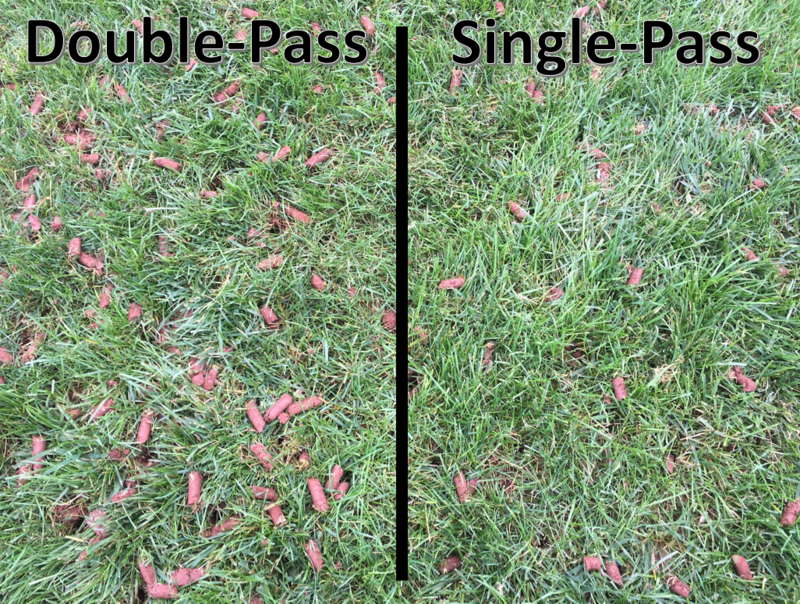 A double pass is one of the big value-adds we offer. Let’s look at two others. The ideal time to seed the lawn is immediately following lawn aeration when the seeds can fall into the holes that were just created. The fall weather provides the ideal conditions for seed germination, increasing the odds that your new grass will survive and mature. 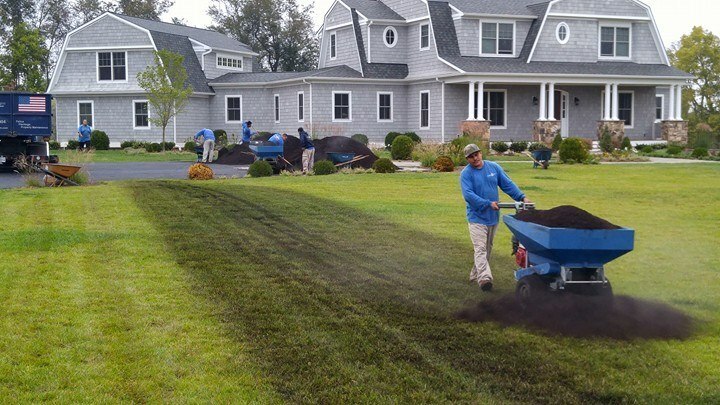 Lawn seeding is performed with the use of push spreaders which are calibrated to properly seed your lawn at five pounds per thousand square feet. 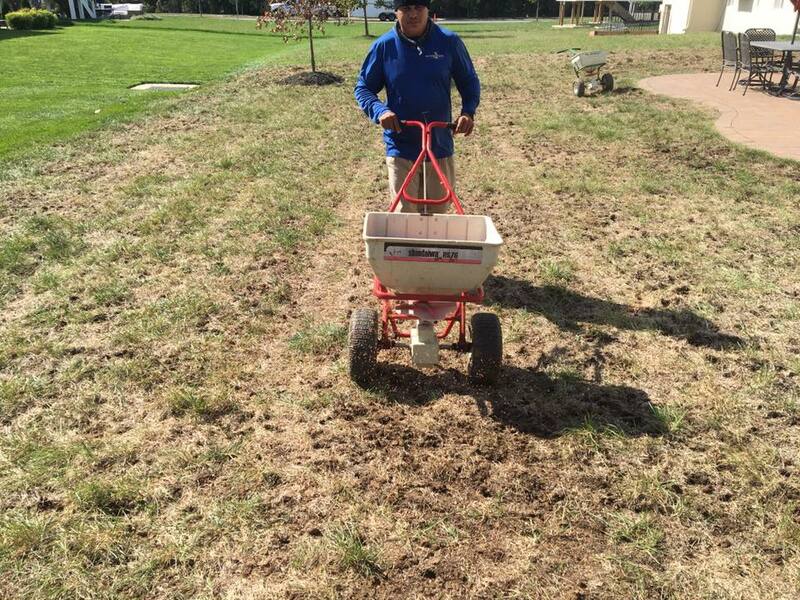 At Rock Water Farm, we always include seeding as part of our aeration services. It just doesn’t make sense to aerate without also seeding. While it’s true you could buy seed on your own, it’s not going to be the same quality as the seed we provide. We use a high-quality, professional-grade seed that does not have a bunch of filler mixed in as you’d find at your local box store. The blue-tag fescue that we utilize is the highest-rated and cleanest variety of seed on the market. We wouldn’t want to provide an aeration service and have the homeowner go on to use cheap seed they purchased on their own. It honestly would be like shooting yourself in the foot. You’ll end up with unwanted weeds in your lawn due to the low-quality seed. That’s why we insist on professional seeding. A topdressing service is another important surface that should be performed at the time of lawn aeration. It’s another value-add in that it’s going to enhance the impact of the aeration. After aeration and overseeding are complete, the lawn can be topdressed with a thin layer of compost. This allows it to fall into the holes that were just made. As the compost mixes with the clay, it helps create a better layer of topsoil by improving soil structure and microbial life. Topdressing the lawn should be performed immediately after aeration as it’s not nearly as useful to do it without the holes already there. As mentioned, the idea is for the topdressing to mix in with the existing clay soil. Professional topdressing will include the use of equipment to ensure that the material is spread out evenly across your lawn. We find that a lot of homeowners expect that professional lawn aeration for their Ashburn,VA home is going to cost more than it really does. A professional lawn aeration service starts at just $159, which includes overseeding. If you choose, you can also add a topdressing service to have even more success. 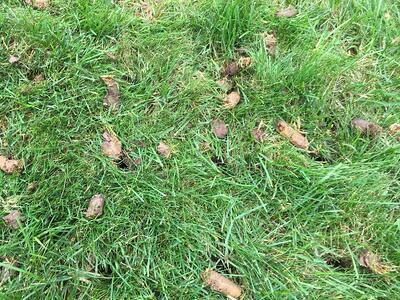 You can attempt to perform a lawn aeration on your own, but we don’t advise it. Chances are, you’re just not going to get as good results as you would from working with a professional. On top of that, it’s a lot more work and potentially more dangerous (to be operating heavy machinery) than people tend to realize. Of course, if you’re going to invest in a professional aeration service in Ashburn, VA, we advise that you ensure you’re getting the most out of that investment. That means choosing a company that will go the extra mile with a double pass service and that offers other value-add services that will make the results of your aeration even better. 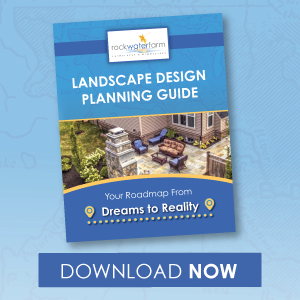 By making the choice to work with a company like this, you can feel confident that you’re going to get the best possible results and that you’ll have a lawn you can truly be proud of. 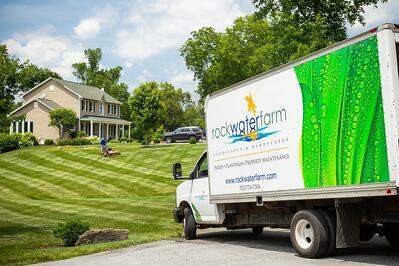 If you’d like to discuss lawn aeration services for your Ashburn, Aldie, or Leesburg, VA home, talk to an expert, choose a solution that rocks, and then get ready to see your property looking its best.